Being fashionable isn’t always an easy job, especially if you’re not good at it. However, there are savvy as well as affordable ways that you can make sure that you’re looking trendy most days. It’s important to remember that fashion is about expressing yourself in a way that you’re comfortable with. In light of this, there are simple things that you can commit to doing daily that will make fashion a breeze. Whether you’re going to work, on a night out, or exploring in the city, there are quick ways to look good. Here are top tips for everyday fashion that could help you look your best. One tip for being fashionable is to not be insistent on matching everything. Be daring some days and combine different patterns and colors that you may not usually match. Make an effort to wear colors that enhance each other as opposed to ones that match traditionally. Mismatching on purpose has been a thing for some time now, and it isn’t limited to colors and patterns alone. You can also mismatch accessories such as shoes and earrings, so don’t be afraid to do something out of the box. One of the top tips for everyday fashion is to develop a signature style. This will guide the type of things that you wear, but remember to be flexible in the process, so that you aren’t always playing it safe. Here is how you can develop your signature style if you don’t already have one. · Look For inspiration: One thing you want to do when trying to create a style that’s unique to you is to look for inspiration. Check social media, fashion blogs, or Pinterest for looks that you like and see if you can pull inspiration from that. · Think About Your Body type: When choosing your signature look, it’s important that you think about your body type. This is because certain styles will look better for your shape than others will so know what you feel comfortable in as well as what’s flattering on you. · Choose a Signature Item: Seeing as you’re going to be creating variations of your signature look, you should have one thing that’s somewhat consistent. It could be that you’re always known to wear a dramatic hat, or you have a black bag with every outfit you wear. To choose a signature fashion piece, consider something that’s timeless, versatile, and is good value for money. Watches are a great accessory that can be used to breathe life into any look. For this reason, you should have a few that you can rotate and wear with some of your different looks. When choosing a wristwatch, think about the type of band you want whether leather, plastic, or metal. You can also think about getting different styles, so you have a good variety. A good brand to consider is Omega as they have a wide range of collections you can choose from. Denim is something that is timeless, so you should invest in getting different types that are of good quality. More specifically, buy good quality jeans and skirts if that’s something you like as you can wear them for years to come. Developing a personal style might feel like a challenge. You will more than likely want to wear an outfit that not only reflects your personality, but that will wow your friends, family and even passersby. It is important to identify the styles you really like and to identify the looks that complement your body, too. So, you will only ever buy items that deserve to hang in your closet. Here’s how to find your personal style. Sit down and write a list of your favorite fashion icons to date and why you like their looks. For example, do you love the elegance and simplicity of Audrey Hepburn’s style? Maybe you appreciate Jennifer Aniston’s clean, minimal looks, or you love how Alexa Chung offers a perfect mix of hipster and chic. Doing so can help you to identify the clothing styles you like, so you can adopt a similar style into your everyday clothing. Once you have identified the different looks you like, it’s time to open up your closet and pull out all the clothing that doesn’t suit your new style. You can then start to rebuild your closet with garments that match your taste and personality. Once you have a pile of unwanted clothing, donate them to a charitable cause or loved one. While you might love Alexa Chung or Beyoncé’s style, the chances are you don’t have their budget. 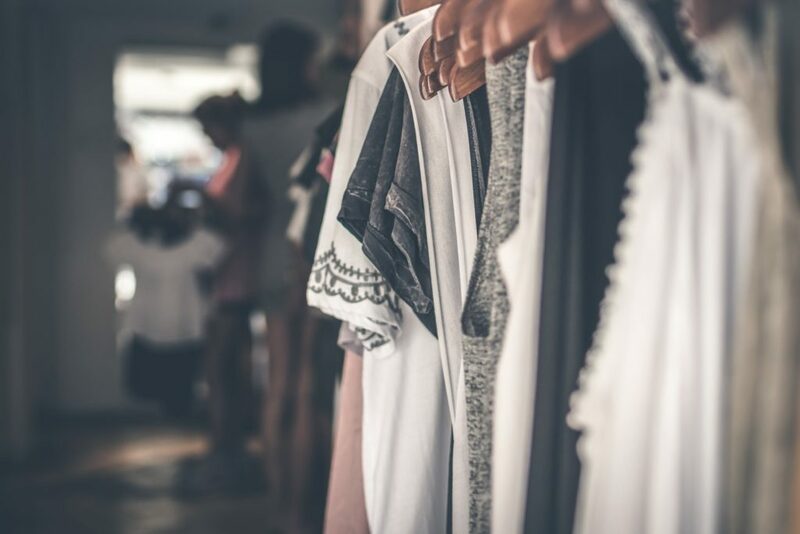 Rather than going into debt to adopt a similar style to your fashion icon, you must become a savvy shopper. This means hunting for deals, scouring sales racks, and taking advantage of bargains when they arise. Only ever invest in fashion staples, such as a beautiful coat, leather boots, or a pretty handbag. The accessories you choose can make or break your outfit. The right necklace, bracelet or sunglasses can instantly pull a look together, which can make you stand out from the crowd. For example, a pearl necklace can instantly add a splash of elegance and glamor to a little black dress. Find the perfect glasses online to add a touch of sophistication to an outfit, or grab a bright clutch to add a pop of personality when wearing neutral colors. Never focus on a designer label when developing your style, as this could result in you making a fashion mistake. Always be true to yourself and forget names and trends, so you can develop a look that will make you exude instant confidence. Your clothing reflects your individuality, so wear garments that express both who you are and who you want to be in the future. It is also essential to tailor your style to your current lifestyle. For example, while you might love a t-shirt and jeans in a store, they might not reflect your formal field of work. If you are trying to climb the career ladder, try to pick a few stylish, professional pieces that also reflect your personality and dream career. If you have a busy day where you have to go from daywear to evening wear with little time to change in between, or perhaps you are traveling light with a few core wardrobe items to see you through a trip, there are ways that you can go from casual to glam with a few simple tweaks. Luckily, you can transform even the most simple, understated outfits by adding a few accessories. If you want to learn how to get that exquisite evening look with little effort, the below guide gives you some handy tips. One of the quickest and easiest ways to dress up a core outfit is to use jewelry to add a focal point and some sparkle. Diamond and pearl jewelry from Kyllonen Luxury brings a classic, sophisticated style, or choose chunky bracelets and bright colored beads for a fun look. Long earrings can take you from daywear to evening wear in an instance, plus pendant style necklaces add a cool look to any outfit. Scarves can change the look of any outfit and are great for traveling as they pack small and weigh nothing. There are lots of ways to tie scarves, or you could use one as a light shawl over your shoulders. Another way is to use a scarf as a belt, cinching in your waist and adding color to an all-black base. Belts are not just for holding your pants up; you use them in many ways! Accentuate your figure by adding a belt to a loose shirt or cardigan, or add interest to a maxi dress. Plus, you can further mix things up by using wide belts or ultra-thin. Tying your button down shirt into a knot at the front will change the look of your outfit, simply by showing off your waist. You can use knots with oversized t-shirts too for an understated evening vibe. Tie them at the front or to the side. You can also turn a t-shirt inside out and tie a knot in the middle because when you turn it out, it creates a pleat-like cinch. You can change your base outfit by totally rocking a neckerchief. It adds a layered look to your top half and is great for adding color. If you are having a bad hair day, then simply scoop up your hair into a ponytail and use your neckerchief as a cool headband. There are many ways that you can dress up a simple outfit, so it looks and feels fresh. Using accessories is great, but it is best to pick one or two and stick with that because overdoing it can make your outfit look a little too embellished. Having a few ways to dress up your outfit will save you time on getting ready to go out, and it can save you the hassle and money of having to buy different outfits for different occasions. 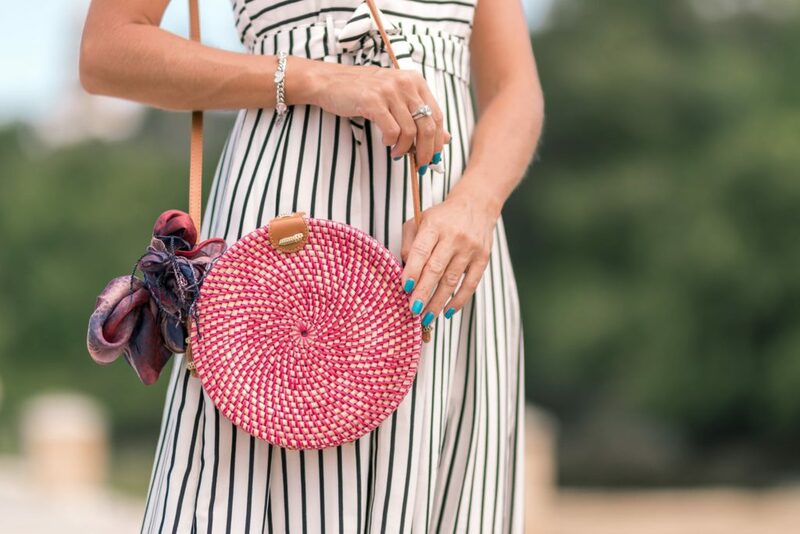 So, next time you need to swap from daywear to evening, or if you need a few different looks while on vacation, have fun with your core outfit by following a few nifty tricks and adding a few accessories!